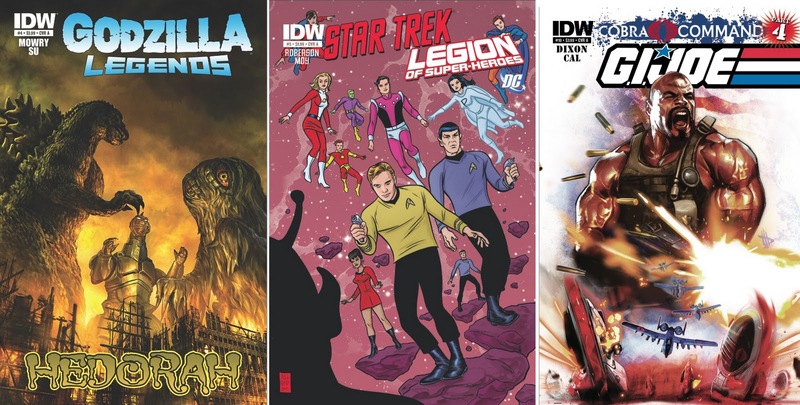 If comics has a 'Success story of the decade', it has to be IDW. Their truly indie origins giving birth to a publisher that month in, month out, goes toe-to-toe for position of 'Publisher number three' is an amazing achievement. Narrowing the focus, of all their February 2012 toe-to-toe offerings, these four represent the best in covers. CLOSE CONTENDERS: Chris Scalf - Godzilla Legends #4, Mike Allred - Star Trek/Legion of Super-Heroes #5 and Dave Wilkins - G.I. Joe Vol2 #10 (Roadblock should've always been in the first Joe movie)! 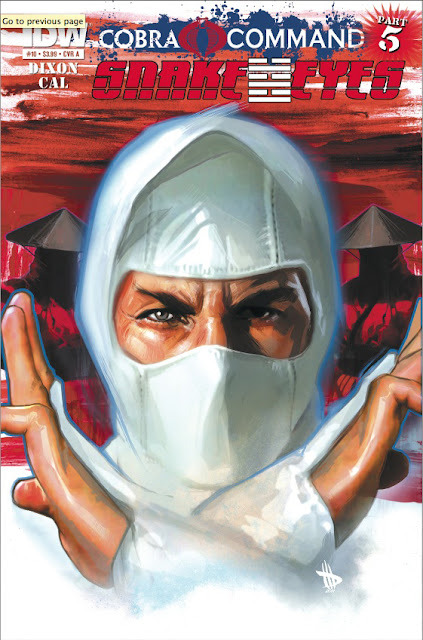 For more from the IDW crew in February, click the jump. That Star Trek/Legion cover is crazy! Very groovy 1960s! Mike Allred has that way about him, doesn't he Shag - and what a great match for this crossover!